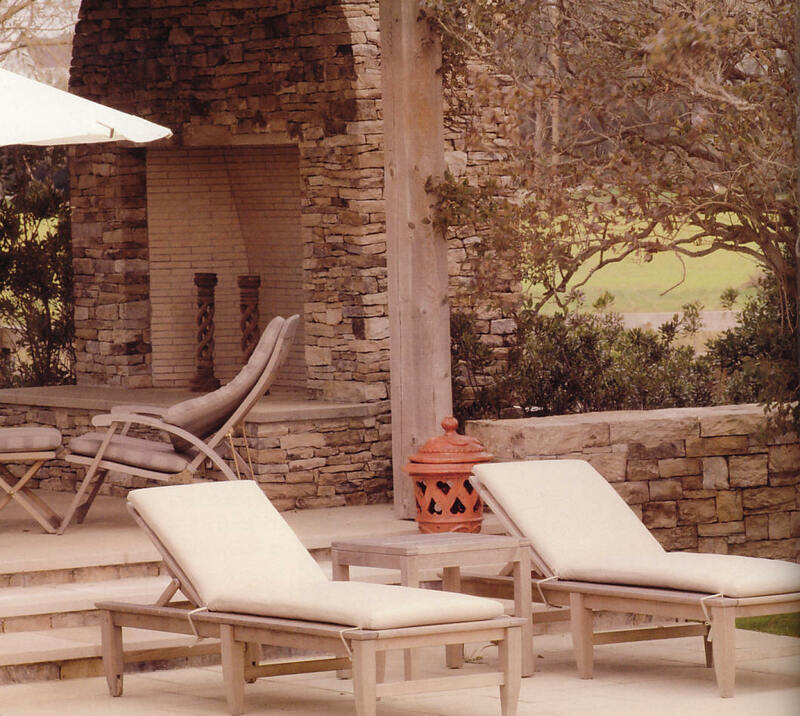 We offer natural stone & precast wall systems. Whether your edging a flower bed or installing a 20ft. 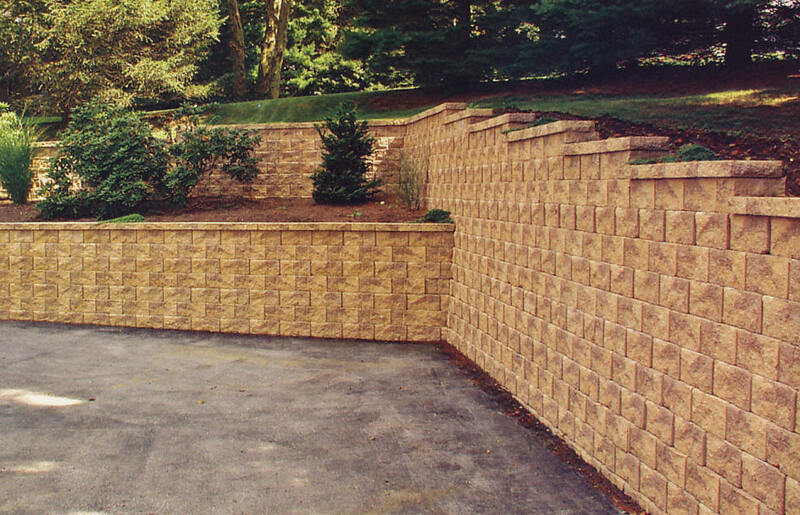 retaining wall, Fleetwood Building Block has numerous shapes, sizes & colors of wall systems. At Fleetwood Block , we offer a wide variety of presorted select wall stone that is palletized for the convenience of pick-up or delivery. Because it is palletized, you know that whatever stone you decide to build with, each pallet has clean workable stone that was hand-picked to ensure quality and convenience. And again, because it is palletized, we can deliver and drop it wherever our all wheel drive forklift can fit into, reducing physical labor and labor costs of handling the stone more than twice. 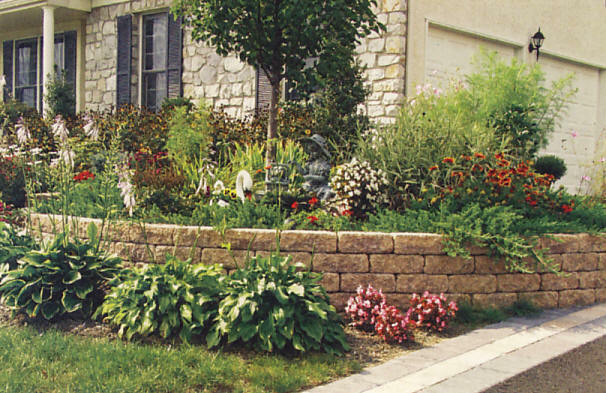 Retaining walls will add to your home's beauty and make those difficult areas more manageable. Retaining walls are used to give support to vertical sloping land. By installing retaining walls, such sloping land can be leveled and hence be of greater use. Plants, trees, and gardens can be incorporated to once useless land. Any hillside or even flat land can benefit from retaining walls. Erosion and drainage is the most common usage for walls but they can be added to create useful flat areas for lawns, playgrounds, patios, and decks. There are many different materials used in retaining wall construction. Some of the most common types are block walls, natural stone walls, concrete walls and brick walls. If you are looking to make a retaining wall a part of your landscape, you will need to choose the type of materials that are appealing to you and your existing landscape, along with your budget. Block walls - Block walls are durable, long-lasting and can have very unique looks with different shapes, sizes, and colors. Block walls can have many uses such as retaining hillsides, raised planting beds, borders, and stairways. Boulder walls - Boulder walls are very unique when it comes to color, shape, and size. Boulder sizes ranging from 12" to 60" or more can be rounded, flat and multisided. Retaining walls, raised beds, borders, and shoreline rip-rap are the most common uses for boulders. Natural stone walls - Natural stone walls are similar to boulder walls except flat or split rocks are used. 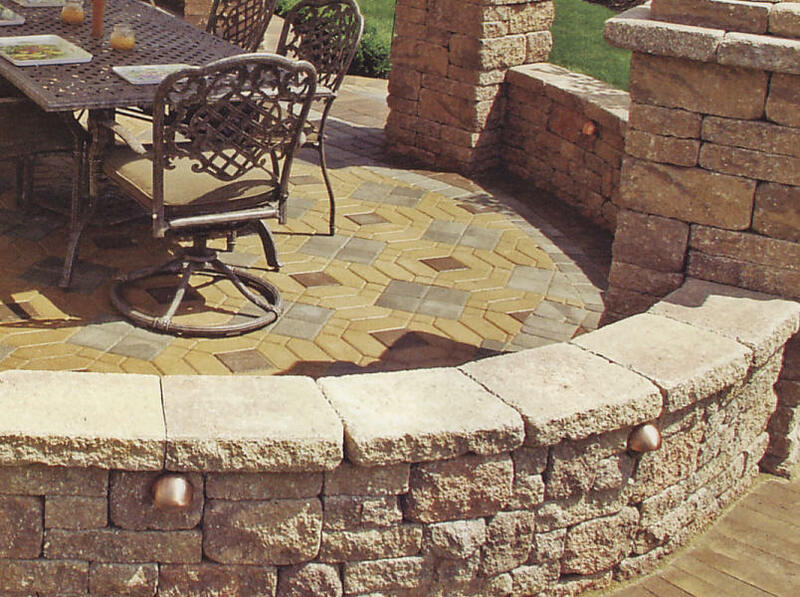 Stone walls are long-lasting and can be constructed straight, curved, or just about any shape desired. There is also a large variety of colors, shapes, and textures. Copyright © 2017, Fleetwood Building Block Inc. All Rights Reserved. Copy and/or distribution in any form is strictly prohibited. Bally 19503, Barto 19504, Bechtelsville 19505, Bernville 19506, Bethel 19507, Birdsboro 19508, Blandon 19510, Bowers 19511, Boyertown 19512, Centerport 19516, Dauberville 19533, Douglassville 19518, Earlville 19519, Evansville 19522, Fleetwood 19522, Geigertown 19523, Hamburg 19526, Hereford 18056, Kempton 19529, Kutztown 19530, Laureldale 19605, Leesport 19533, Lenhartsville 19534, Limekiln 19535, Lyon Station 19536, Maxatawny 19538, Mertztown 19539, Mohnton 19540, Mohrsville 19541, Monocacy Station 19542, Monocacy Station 19542, Morgantown 19543, Mount Aetna 19544, Mount Penn 19606, New Berlinville 19545, New Berlinville 19545, Oley 19547, Pine Forge 19548, Reading 19601, Reading 19602, Reading 19603, Reading 19604, Reading 19605, Reading 19606, Reading 19607, Reading 19608, Reading 19609, Reading 19610, Reading 19611,Reading 19612, Reading Station 19606, Reading Station 19606, Rehrersburg 19550, Robesonia 19551, Shartlesville 19554, Shillington 19607, Shoemakersville 19555, Shoemakersvle 19555, Sinking Spg 19608, Sinking Spring 19608, Stony Run 19529, Stouchsburg 19567, Strausstown 19559, Temple 19560, Topton 19562, Virginville 19564, Wernersville 19565, West Lawn 19609, West Reading 19611, Womelsdorf 19567, Wyomissing 19610, Alburtis 18011, Allentown 18101, Allentown 18102, Allentown 18103, Allentown 18104, Allentown 18105, Allentown 18106, Allentown 18109, Allentown 18195, Bethlehem 18025, Breinigsville 18031, Catasauqua 18032, Center Valley 18034, Coopersburg 18036, Coplay 18037, East Texas 18046, Emerald 18080, Emmaus 18049, Emmaus 18098, Emmaus 18099, Fogelsville 18051, Germansville 18053, Hokendauqua 18052, Laurys Sta 18059, Laurys Station 18059, Limeport 18060, Macungie 18062, Neffs 18065, New Tripoli 18066, Old Zionsville 18068, Old Zionsvlle 18068, Orefield 18069, Schnecksville 18078, Slatedale 18079, Slatington 18080, Trexlertown 18087, Wescosville 18106, Whitehall 18052, Zionsville 18092, Pottstown 19464.